The new CEO of Donald Trump’s campaign is closely aligned with the so-called “alt-right,” a nationalist movement that rejects multiculturalism. 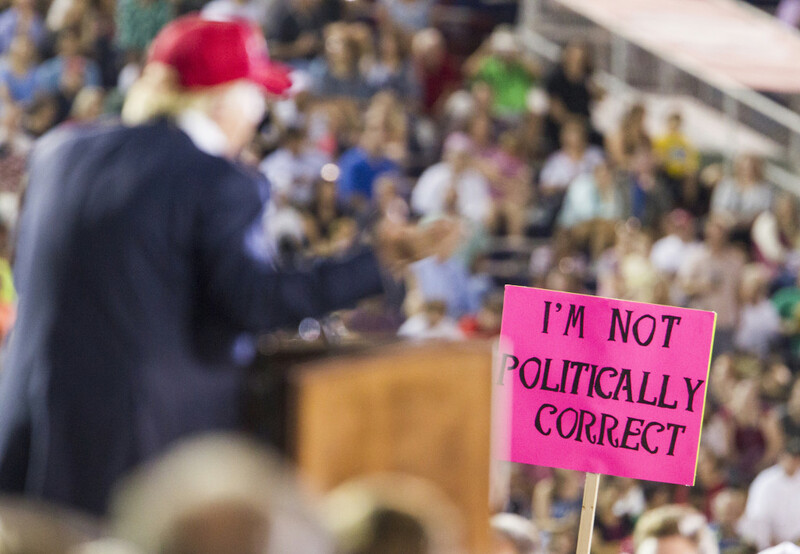 The rise of the alt-right movement and its place in this year’s presidential campaign. Jared Taylor Editor, American Renaissance which describes itself as a "race-realist, white advocacy organization". MS. DIANE REHMThanks for joining us, I'm Diane Rehm. The alt-right is a white supremacist movement that most of us had probably never heard of until last week when Hillary Clinton tied the group's views to those of Donald Trump's. Here to discuss the alt-right and the movement's role in this year's presidential race, Norman Ornstein of The American Enterprise Institute, Rosie Gray, a reporter at BuzzFeed. Joining us by phone from Charlotte, North Carolina, Robert P. Jones of the Public Religion Research Institute, author of "The End of White Christian America." MS. DIANE REHMA bit later in the program, we'll be joined by Jared Taylor, editor of The American Renaissance, which describes itself as a race realist, white advocacy organization. And as far as you are concerned, I hope you'll join in as well, 800-433-8850. Send us your email to drshow@wamu.org. Follow us on Facebook or send us a tweet. Thank you all for joining us. MS. ROSIE GRAYThanks so much for having me. MR. NORMAN ORNSTEINAlways great to be with you, Diane. MR. ROBERT P. JONESThank you. REHMAnd to you, Robert Jones, let's start with you. Tell us, what is the alt-right? JONESWell, you know, it's a little hard to define, but it's basically a loosely-affiliated set of groups and individuals who are organized, really primarily online, around white, Protestant, nationalism. And you're going to have Jared Taylor later on. He, himself, has said its purpose is to wake up white people to the crisis of dispossession that they face. I think one of the most important things to understand then is that it's not just a white identity movement, but it really is a white, Protestant, Christian identity movement. JONESThat's really critical. So when they talk about white civilization, it really is this WASPy, white, Anglo-Saxon, Protestant piece of it that's critically important. So that's why Catholics and Jews, for example, were targets of early white nationalist movement because they didn't fit this kind of white, Protestant sense of the country. So when I wrote my book, "The End of White Christian America," one of the reasons was to kind of understand that the power of this real tipping point that we've realized and reached in the country where we have passed now, just in the last ten years, from being a majority white Christian nation to a minority white Christian nation. JONESAnd that's really unprecedented in the country's history. And I think it's that transition point that's really lent the power to this group in the current election cycle. REHMWere you surprised that Hillary Clinton mentioned the group? JONESWell, you know, I was -- when I wrote the book, I closed the text, you know, long before we were in the election cycle. And I would say that I was -- I knew from the research that we were seeing this white anxiety in the country, but I would not have predicted that it would've become -- the kind of white nationalist movement would've become as central to the presidential campaign as it has today. And I think it's because of its rise, particularly with Steve Bannon being put in charge of the Trump campaign, that really prompted Hillary Clinton to address it directly. REHMRosie Gray, you've been writing about this group for months. Tell me how long they've been around, what did they grow out of? GRAYWell, there have certainly been people, you know, with these ideas for quite some time. In terms of the term alt-right being used, that stems actually from around 2010 when Richard Spencer, who's the president of a think tank called The National Policy Institute, founded a publication called AlternativeRight.com. And so he did that for a while, but it's really in the past year or so that the term itself, as being applied to being the name for a movement really picked up steam and that had a lot to do with, you know, with the increasing momentum of the Trump campaign, frankly. GRAYBecause they really -- the alt-right, really, in Trump they see sort of a reflection of a lot of their values and it's kind of the first time that white nationalists saw a legitimate contender in the election that they could really sort of attach themselves to. REHMNorm, I want our listeners to know we did get in touch with the Trump campaign to invite them to appear on the program. They did decline. But would we be talking about the alt-right movement if it weren't for Donald Trump? ORNSTEINI don’t think we'd be having a show on this if it weren't for Donald Trump, Diane. One thing that's important to keep in mind is that these ideas and these strains, as Robert's book shows as well, have been around since the beginning of the republic. But they were atomized in the past because we didn't have the communications vehicles that we have now. And really, what's happened is that you've got groups of people -- Richard Hofstadter, the great American historian in the early 1960, wrote a book called "Anti-Intellectualism in American Life." ORNSTEINAnd then, a collection of essays called "The Paranoid Style in American Politics" that sort of give the history here. Now, with social media, you can organize and create a community that reinforces itself and I think, as Rosie said and it's really important, Donald Trump gives this a legitimacy now that allows them both to speak out and to organize in ways that we hadn't seen before. REHMHow so? Because of his choice? ORNSTEINWell, he is the Republican party nominee and whether he believes the things that are the core of the alt-right movement or not, I don't know. The campaign would deny it and say these are not his kinds of people, but he has certainly embraced them, given them a wink and a nod and with Bannon, given them a level of legitimacy that they lacked in history, except for the time back post Reconstruction when the Ku Klux Klan really had a substantial legal standing in good parts of the South. ORNSTEINOtherwise, they've been sort of shunned by larger society and now they can see themselves as, you know, think of this as an acela train pulling out of the station. They've got their own luxury car on the train right now. They've never had it before. REHMSo talk about Bannon and what he brings to the Trump campaign and the ideas connected to the alt-right. GRAYSure. Well, Steve Bannon, up until quite recently, was the chairman of Breitbart News, which, you know, is a very sort of aggressive conservative publication that, in the past few years, has taken a turn kind of towards these, you know, nationalist, populist, anti-multiculturalism ideas. And Steve Bannon, who is now the CEO of the Trump campaign has said that Breitbart, under his watch, was a platform for the alt-right. So he's basically -- I don't know whether Steve Bannon would describe himself as alt-right, but he's certainly embraced the term and embraced the movement. GRAYAnd, you know, clearly now he's at the highest echelons of the Trump campaign. I still would not say that Donald Trump necessarily really knows that the alt-right is or had even probably heard the term all that much before -- I mean, he clearly knows about it now after Hillary Clinton's speech. But I mean, like Norm was saying, there's been a certain wink and a nod. REHMA wink and a nod, Norm? ORNSTEINYeah. You know, it's not that Donald Trump has said these are my people. Remember the first time he was asked about David Duke. He said, well, I don't really know who he is and I, you know, but wouldn't disavow his support. Now, he does, but after a long period of time where not just David Duke, but a lot of other people -- and, of course, the term alt-right is a way of basically sanitizing the nature of this movement. You know, they could've called themselves a white, Protestant, Christian, you know, kind of movement and they don't. ORNSTEINBut, you know, Trump did not reject people and he said things and has said things that resonate dramatically with them. ORNSTEINWell, when he's talked about making America great again, when he basically, you know, even if you take the moment when an African American protester at one of his rallies was being beaten up by -- and roughed up by people in the crowd and he encouraged them along. When he has talked in the past -- now, he's taking a different tone towards African Americans -- but really about the nature of changes in this society, when he's talk about immigration. ORNSTEINThese are all the kinds of themes that resonate with this group of people. GRAYWell, in terms of the term alt-right being, like Norm was saying, being an attempt to sort of sanitize what it really is, there probably is an element of that, but it's also, I think, important to note that they don't -- they're trying to be an alternative to the right. Like, they are trying to be an alternative to mainstream movement conservatism and that's also part of the project as well. And I think that's sort of important to note about them, that it's not just as simple as being just white nationalism. JONESYou know, one of things I think it's important to note here is to kind of root this new movement that's the alt-right movement in kind of more recent history of the GOP southern strategy. This is really key that the GOP built its white southern base really out of this southern strategy that used race as a wedge to pry white southern voters particularly white men away from the Democratic party. What's interesting is that the Trump campaign has embodied both the old and the new versions of this kind of southern strategy and the new alt-right strategy all in one campaign because his previous campaign manager, Paul Manafort, was actually one of the key architects of the GOP southern strategy going all the way back to Reagan. JONESSo when Reagan appeared in Philadelphia and Mississippi, he'd just kick off his southern campaign in 1980, the place where three civil rights workers were killed and Reagan talked about state's rights at the Neshoba County fairgrounds, that was Paul Manafort's strategic move there. So these things are actually linked all the way through the Republican strategies going back into the '80s. REHMRobert P. Jones, he's the author of "The End of White Christian America." Short break, we'll be right back. REHMAnd in this hour we're talking about the growth of the alt-right. Hillary Clinton mentioned the alt-right in a speech she gave in Reno, Nevada, in which she sought to tie Donald Trump to a movement many of us had never heard of, the alt-right. Here in the studio, Norman Ornstein, he's a resident scholar at the American Enterprise Institute, he's co-author of "It's Even Worse Than It Looks: How the American Constitutional System Collided With the New Politics of Extremism." Robert P. Jones is on the line with us. He's the author of "The End of White Christian America," and Rosie Gray is here in the studio. She's a reporter at BuzzFeed. She's been covering the alt-right. REHMAnd now joining us is Jared Taylor. He's editor of American Renaissance, which describes itself as a race-realist, white advocacy organization. He is the leader of the alt-right. Jared Taylor, thanks for joining us. Please tell us what is the alt-right, how do you describe yourself and what you stand for. MR. JARED TAYLORWell, it's a pleasure to be on your program. TAYLORThank you very much. I must say it's been a little amusing to me to listen to people who clearly don't know very much at all about the alt-right pretending to be experts. Rose Gray actually does know something about us. She's met some of the leading figures, and she's covered some of our events. But the others, they're putting up a good front, but I'm sorry, they really don't have much to say that's useful. TAYLORI would deny that I am the leader of the alt-right. It has no particular leader. REHMHelp me to understand what the term race realism means. TAYLORWell, this has to do with the central element that does unite the alt-right. Among the many positions held by the alt-right, we reject the notion that race is some sort of sociological optical illusion. Race is a biological fact, whether we wish to recognize that or not, and we completely reject the idea that all races are exactly equal and equivalent and in effect interchangeable. TAYLORIt's obvious that if a nation goes through substantial racial demographic change, many aspects of it will change, and a majority has the right to remain a majority. This is taken for granted in all non-white countries. You would never expect the Japanese or the Nigerians or the Mexicans to countenance some kind of immigration or other program that reduced them to a minority within a period of decades. They would laugh at it. REHMOf course the United States has, from its very beginnings, taken in far more of a variety of races, some voluntarily and some otherwise. TAYLORYes, but the very first immigration law established in 1790 by the very first Congress of the United States, when these fellows were sitting around trying to decide what sort of nation they are going to be, the very first naturalization law was going to restrict naturalizations to free, white persons of good character. REHMAnd that's how you'd like to keep it. Is that correct? TAYLORNations have a right to maintain some kind of cultural, racial and historical homogeneity, yes indeed. Furthermore we had an immigration policy, up until 1965, that was explicitly designed to keep the nation majority European. There was absolutely nothing wrong with this. The United States, people like to call it the American experiment. I don't like to think of my country as an experiment, a bunch of chemicals sitting over a Bunsen burner. TAYLORThat will be rent by all sorts of tensions. REHMAll right. Can you tell me, do you support Donald Trump for president? REHMAll right, can you explain -- can you help me to understand the areas where you agree with Donald Trump and those where you disagree? REHMAll right, let me ask you this. Are there areas in which you disagree with Donald Trump? TAYLOROh gosh, I might very well disagree with his trade policies. I might well disagree with what he plans to do with the Veterans Administration. I mean, a president is going to have a huge number of different policies. As far as I'm concerned, though, and as far as the alt-right is generally concerned, we are one-issue voters. We would vote for any candidate who would stop the dispossession of the white majority in the United States. REHMAll right, let me ask you about that right there. Right now you clearly -- the country is clearly on a path to becoming white race minority. REHMEven with the population that is here now that are citizens now. What would you do about that? TAYLORWell, I don't think anyone in the alt-right, or certainly very few, would talk in terms of deporting people. They are here, they are citizens. But we must recognize that the natural tendency of human nature is tribal. When black people or Asians or Hispanic express a desire to live with people like themselves, express a preference for their own culture, their own heritage, there's considered nothing wrong about that. REHMAnd apparently what that would mean is that other than whites would be in the minority. How do you plan to achieve that? REHMSo you would prefer to see the country move back to a segregated country where schools are separate, where churches are separate, where theaters, where every public space is segregated, is that correct? TAYLORNow don't forget, don't forget, I used the term freedom of association. TAYLORI'm not talking about -- I'm not talking about forcible segregation and at all, and you just mentioned churches. Were you aware of the fact that 95 percent of the church congregations in this country are at least 85 percent, often 100 percent, one race? That is because churches are one of the few institutions on which government power has not yet been brought to bear in order to integrated them. People are completely free to choose their own church. TAYLORAnd it's not as though I as a white person am going to be run out of a black church. Black churches are happy to welcome white members. REHMAnd I must say I attend a church in which people of every race and color attend. TAYLORThat's fine. Those are exceptional congregations. Most of the time people are happy to be around people like themselves. REHMAnd clearly that is you. You are happy to be around people of your own race. What about people who are not so happy staying just with themselves, who really want to intermingle and who see no problem with the white population becoming a minority in this country? REHMHow do you know that most people do not want that? How do you know that? TAYLORBecause I look -- because I look at where they live. I look at where they send their children to school. When the neighborhood becomes majority non-white, is it somehow a strange coincidence that white people move to majority white neighborhoods? When you are the last blonde child in your classroom, is it somehow a coincidence that your parents take you out of that school and put you in one where you are a majority again? TAYLORI mean look, millions of white Americans feel the way I do. They just don't dare say so because we live in a very, very oppressive society in which you can lose your job just for saying the things that I've been saying to do you today. REHMAnd you're listening to "The Diane Rehm Show." Norm Ornstein has a question for you. ORNSTEINI just want to get a sense of how this would work operationally. Would you have states that were fairly much set aside for one race or the other, cities? Would you -- what laws would you change to make sure that people could have the kind of freedom of association you're talking about? TAYLORThose are obviously difficult questions, and I don't have a perfect blueprint. But all you would have to do for the most part is get rid of laws that prohibit private discrimination. Obviously the government cannot discriminate. The electric industry, the electric utility, cannot discriminate. You have to sell electricity to anybody who wants to buy it. But if I am a private club, a private business, I should have the right to discriminate for good reasons, bad reasons or no reasons at all. It's part of the essential freedom of making choices as a human being. REHMAll right. I think Robert Jones has a question for you. JONESNo, I just wanted to sort of jump in and I guess ask a question about whether, you know, these kinds of -- you know, the numbers I've heard you say, like, you know, the majority has a right to remain a majority, these kind of concerns of the country slipping through your fingers. And, you know, one of the things in my book that I sort of hold out is this -- this rapid change of, you know, just two election cycles ago 56 percent, the majority of the country, identified as white and Christian. Today that number is 45 percent of the country. JONESIf we limit that to white Protestants, we're down to only about a third of Americans who identify today as white and Protestant. So the point I'm making is that we've actually already crossed this threshold. If we're thinking about white Christian America as the sort of majority identity, a kind of WASPy cultural center, we've already crossed that threshold of becoming a minority Christian group. So the question is what now. TAYLORFirst of all, you are completely wrong about somehow identifying the alt-right as Christian. I'm sorry to say, but that shows how profoundly ignorant you are of the basics of this movement. Many of the people in the alt-right have no religion at all. Many are young people. Some of them are odinists, some of them are Christian. Christianity is an almost irrelevant aspect of the alt-right. JONESWell, that's not what the numbers show. REHMAll right, Rosie, you have a question. GRAYWell yeah, I mean Jared when we -- I'm actually glad that you're on the line because when we were emailing last week, I asked you, you know, what you made of the vacillations on the part of Donald Trump in terms of the question of deportations. GRAYAnd it seems like we still haven't really arrived at an answer to whether he's going to stick to his initial campaign promise, which is something that the alt-right really liked, that he was going to deport all 11 million people in the country illegally. And I'm wondering where you come down on that now. I mean, do you feel at all a little bit betrayed by what's happening right now? TAYLORYes, well, Donald Trump, as we all know, speaks in elliptical phrases. And it's sometimes hard to pin him down on what he really thinks. I think as far as his immigration policy is concerned, we should really wait until he gives this speech, this upcoming speech. So it's a little bit like trying to read tea leaves at this point. But I would say, and I will address myself to Diane Rehm, Rosie Gray is the only person on your panel who really knows something about the alt-right, and I congratulate you for at least having her own. TAYLORShe has been to some of our events. She really knows what she's talking about. REHMJared Taylor, he's editor of the American Renaissance, which describes itself as a race-realist, white advocacy organization. Thank you for joining us, Jared, and short break, we'll be right back. REHMAnd welcome back. You've heard from lots of voices this morning. I want to open our phones, now. 800-433-8850. First to Dawn in Westland, Michigan. You're on the air. DAWNWell, thank you for taking my call. DAWNI think that there is something going on with the Democratic Party, that they're having a hard time dealing with Trump because he does draw from so many different walks of life in the United States. And each one may have its primary reason for supporting him, but it's definitely, what they're trying to do, it seems, is to kind of tag certain people onto him and make him look bad. But I look back at his actions years ago and he was doing a golf and country club in Florida. DAWNAnd the community didn't want him to be able to open it to Jews and blacks and he actually sued for the right to be able to have that golf and country club there be open to all the people who wanted to come there. And from one of the guests that you had, they were kind of intimating that he wanted to keep Muslims out. He wants to keep terrorists out. And I think when we keep repeating kind of a little bit not very precise language that also disparages him. And that's used in political campaigns and I understand it. REHMAll right. I think you've raised a lot of issues. The -- Norm, the whole issue of keeping Muslims out because she wants to keep terrorists out, and there you are with a labeling of all Muslims as possibly terrorists. ORNSTEINYeah, I think, you know, there are a few clarifications to make here. One point that Dawn was making is a particularly good one, though. You know, populism brings out a lot of different elements. We get nativism. We get a measure of either isolationism or America first, which is a different kind of term. You get protectionism and an anti-trade position. And Trump has clearly resonated with voters for a number of those issues. But it's also important to remember that if you look back at the history of Donald Trump, including his early days with his father's firm. ORNSTEINSued multiple times for excluding blacks from housing projects, and the evidence is extremely strong on that front. And on the Muslims, I'm afraid that if you look at what Trump himself has said, it wasn't we're just going to keep terrorists out, it's we're going to keep all Muslims out until we can figure out what's going on. And then we're gonna ask them, when they are trying to come into this country, if they believe in Sharia Law. And we're gonna keep out all kinds of people. And we're gonna get rid of people who are here. ORNSTEINSo it's a much, much broader brush that he's drawn than a narrow one. REHMAll right. Rosie, here's an email for you. Let's see, it says considering that this is the first time you've addressed this topic on your show, I hope you will bring up a core aspect of the "alt right." It's important to note that white supremacists consider themselves misogynists. Their natural allies, as stated boldly by Stormfront's editor, sexism and reproductive control go hand in hand with white supremacy. Their supposed egalitarianism liberalism, and preservation of culture is reserved solely for men. REHMThey cleave to the idea that feminism is a destructive force and that feminists are responsible for the existence of sexism. In your interviews of members of the "alt-right," did you have those impressions? GRAYWell, when you're talking about the "alt-right," I think it's important to note that, you know, it's a movement in which there is -- there's not necessarily total ideological cohesion on all fronts. Like, there is disagreement -- there are disagreements on certain aspects of it within the movement. And, but, I would say that one unifying theme is race. And I think if you, if you really go to the root of what the alt-right is about, it's about race. In terms of issues of gender politics and other sort of variations of identity politics, that is certainly part of the kind of package of issues that they care about. GRAYSort of going hand in hand with this kind of anti-PC, anti-cultural liberalism sort of stance that they have. But I would say that although, you know, most people that I've met in the alt-right have been very suspicious and anti-feminism. I would say that it's sort of a secondary concern. REHMAll right. To Chambersburg, Pennsylvania. Bill, you're on the air. BILLHi. Thank you for allowing me to come on your program. BILLI listen to you every morning. It's awesome. BILLI'm actually on the fence, to be honest with you. I'm not feeling one way, Democratic or Republican at this point. But, as somebody who's neutral when I'm looking at a lot of the stump speeches and then I hear someone like Norm speaking about him, you know, splitting the country by racist lines, I kind of scratch my head going, huh. I wonder if I'm hearing something different, because I'm literally trying to find out what exactly are the words that came out of his mouth for you to make those accusations? BILLAnd here's what I mean. Make America Great Again. There's communities out there that have been devastated, that are predominantly African-American. Detroit, Michigan. Bringing back the automobile maker. And when I hear you say that he wants to be racist or he's trying to support the white supremacy movement, I kind of think to myself, my goodness, if he makes this country great again, if he's successful, which I think he has probably more qualifications than anybody else on the ticket, I think African-American communities are there to take the benefit. BILLSo, can you explain to me, and I'm open to it, what are the words that actually came out of this man's mouth to make you make that accusation? ORNSTEINWell, let's take America First. A terms that he has used multiple times. There is a long history of the term America First. And it is a history that has a racist and anti-Semitic element to it that is very, very deep. Make America Great Again is not saying I've got devastated communities and we're going to rebuild them. It is make America great again. When was America great? And it was interesting to me to see that Jimmy Kimmel, who actually does some very important social stuff on his show. ORNSTEINHad a reporter go around and just ask Trump supporters, Make America Great Again. When was it great? And in almost every instance, it was great when we had, in some cases it was when we had slavery. In other cases, it was when we had segregated society. And others, it was back in the 1950s when it appeared, you know, everybody was happy, at least to those who were in the majority who saw it that way. So, it's not that Donald Trump himself has said, I want to segregate the society or I want to put down people. ORNSTEINBut the things that he's -- you know, here's my African-American. You're not going to see a lot of African-Americans taking that as something that's positive for them. JONESSo, this is Robert Jones. So, I want to agree with Norm here. And just put some numbers around this. We asked -- we at Public Religion Research Institute asked a survey question of the country where we said, has American culture and way of life changed for the better or changed for the worse since the 1950s? And the country is evenly divided on this question. But if you look at the people who are most likely to say, the country has changed for the worse since the 1950s, that is pre-civil rights, pre-women's rights, pre-ERA, those kinds of things. JONESThen the groups that are most likely to stand out are white Evangelical Protestants, a quarter of the Republican base. And Republicans overall. The other thing to say is I think African-Americans are actually speaking for themselves in public opinion polls about what they take -- what they're making of Donald Trump's appeals. Our last public opinion poll, just released last week, showed Donald Trump's support among African Americans at four percent nationwide. In some battleground states, he's been registering exactly zero percent support. REHMAll right, Rosie, can you talk about Steve Bannon and the significance of Donald Trump hiring him? GRAYWell, the significance of Donald Trump hiring Steve Bannon is that it's that he's really fully embracing this ascendant, populist, nationalist movement within the Republican base. Which became apparent that it really existed during the primaries, which obviously, Donald Trump won by appealing to them. REHMAll right. And describe that base. GRAYIt's a base where the issues are less tied to the sort of traditional issues that are important to movement conservatives, and much more of a focus on trade and on immigration. And those are sort of the two things that have really moved that segment of the voters. REHMAnd to what extent has Steve Bannon been tied to the alt-right movement? GRAYWell, like I was saying earlier, I don't know if Steve Bannon necessarily would use that term to describe himself, he's certainly used his website to embrace that movement and has said in an interview with, I think, Mother Jones earlier this summer that, that Breitbart is a platform for the alt-right. So, he's certainly shown himself to be very open to that movement, at least. And so, that is why, you know, that's why, really, that we can sort of talk about, part of the reason why we can really talk about the alt-right in the context of Donald Trump. At this point, is Steve Bannon's presence in the campaign. REHMAnd what was the alt-right movement's response, reaction to Hillary Clinton's comment? GRAYYou mean to her speech last week about them? GRAYIn the conversations I had, they were all pretty pleased, actually, that she, that she mentioned them. She obviously gave them a lot of publicity that they may not have gotten -- even though they've gained a certain level of notoriety, even without her this election cycle, she sort of elevated them into a place in the conversation that they hadn't been at before. And certainly, I mean, you know, when a major Presidential candidate makes a speech, there's going to be people at home Googling and finding out what the alt-right is. And a certain percentage of those people might think, hey, I agree with this. REHMAll right, let's go to Stoney in Dallas, Texas. You're on the air. STONEYThank you for taking my call. STONEYI think -- a couple of things that I want to talk about -- the race issue, I think, we've started using this nebulous term race, race, race. And all the races. There are only actually three or four races on the planet. Mexican is not a race no more than Canadian is a race. So, Mexican actually falls under the Caucasian category. So, a little bit different. And then, when we start segregating people in our minds, African-American, Mexican, Muslim, not a race, Islam, not a race. What we do is we muddle our -- we muddle our thinking and then we start parsing out the differences, not really based on skin color. STONEYBut on culture. We all have different cultures and I think, for me, I'm a white male from Texas, this is not about race. This is about -- Trump's campaign, the alt-right, I don't really know much about the alt-right, but what I want to see as a Caucasian man in America is just law enforcement. We have immigration laws and those should apply to everyone. Those should apply to Mexicans, Canadians, South Americans, Europeans. They should all apply equally. REHMAll right. And you're listening to The Diane Rehm Show. Any reaction, Norm? ORNSTEINWell, a couple of reactions. The first is, certainly, concerns about immigration transcend the alt-right movement and there are a whole lot of people across the board who grapple with this issue and grapple with the idea that people come here illegally, and that means that those who are waiting in line don't get in. Whenever you have difficult economic times, there's always a concern that you have people coming in who are either taking jobs away or reducing wages. There's a lot of that. ORNSTEINAnd certainly, race and culture can be separated. But the fact is when you start to talk about Mexican rapists, when you start to say Muslims should be banned from the country, when you say we're going to deport them all and we're going to set up a deportation force to do that, throughout our history, those things are conflated with race and with anti-Semitism. And when you look at some of the things that Breitbart has had on its site, calling Bill Crystal a renegade Jew because he strongly opposes Trump. ORNSTEINHaving a big cover celebrating the confederate flag the week after the Charleston shootings, as Hillary Clinton pointed out in her speech. It may not be the case, and isn't for somebody like Stoney who's concerned in a very direct way about immigration. But for a whole lot of others, these are terms that they do conflate with the darkest areas of race and anti-Semitism. JONESYeah, and I just wanted to jump in here, if that's okay, because I think -- I agree with that. The other piece I would add, again, I mean, you mentioned it, but I think continue to understand that religion is playing a huge role here as well, right? Muslims are not just an ethnic group, right? That's a religious group. Jews, Catholics, these are all groups that have kind of been a target of kind of white nationalist groups over time. And I think that's really important to remember, that when kind of white nationalist groups talk about European culture, they're talking White Protestant culture. JONESAnd that's really important to, I think, understand with these groups. What I find striking is that there has been, actually, a fair amount of resonance among white Republicans with many of these ideas that I think some of us thought were a little out on the fringe. But, you know, just a couple here. You know, 80 percent of white Republicans now agree that the values of Islam are at odds with American values and way of life. And nearly eight in 10 say the American way of life needs to be protected from foreign influence. JONESAnd 75 percent today say that today, discrimination against whites has become as big a problem as discrimination against blacks and other minorities. So, these attitudes have some resonance inside the Republican Party. REHMAll right, and just to wrap up a bit, taking from what Jared Taylor has said about people making choices, their own choices, what that could come down to is kind of a re-segregation. Could it not if I, as a business owner, don't want a black walking into my store? I could have that right. ORNSTEINAnd, I think it's important to go back to what Jared Taylor said towards the end of my question. Which really was, we want private businesses of any sort to have the right to exclude whoever they want for whatever reason. And that really would mean hotels and motels could say blacks not allowed. It meant lunch counters and others. And that is a return, even if it's not governmentally imposed in a harsher way, of segregation as it was in the 1940s and 1950s. REHMAnd there we are. Norman Ornstein, Robert P. Jones, Rosie Gray. Thank you all so much for being here. And thanks all for listening. I'm Diane Rehm.